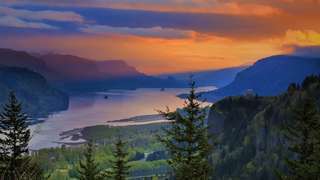 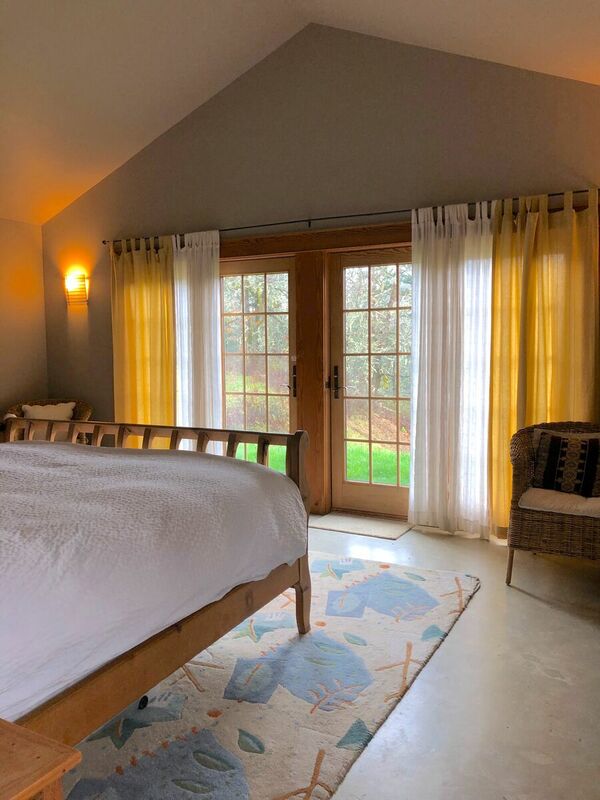 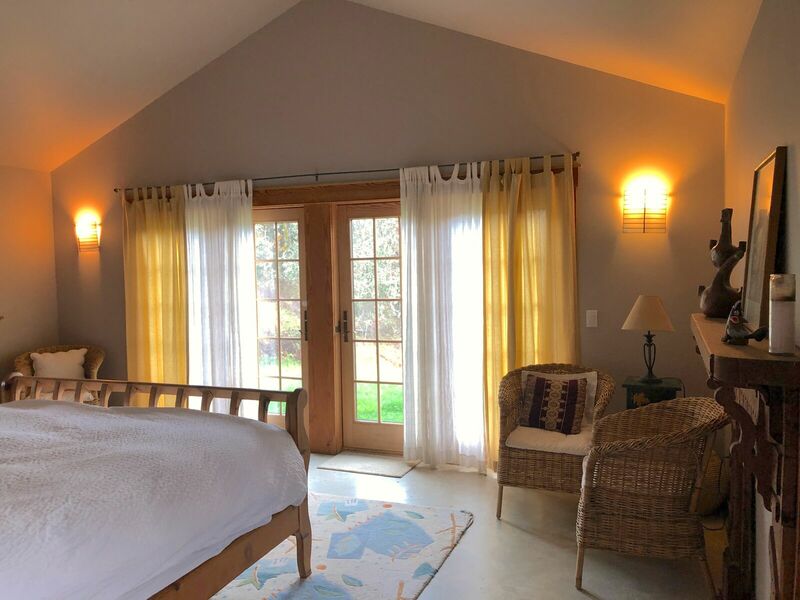 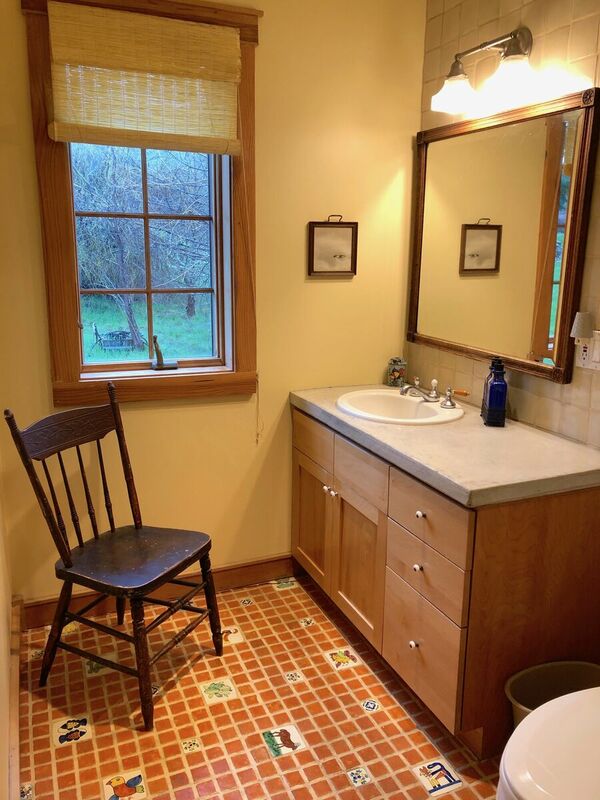 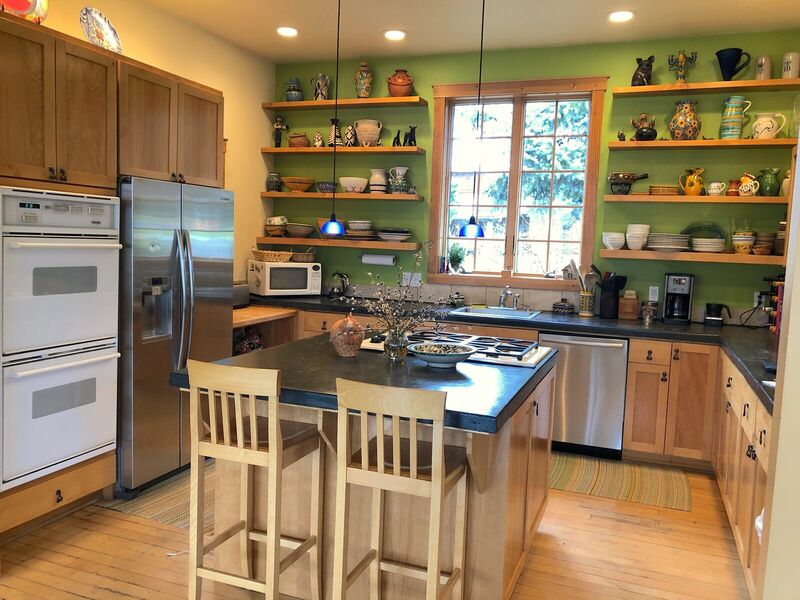 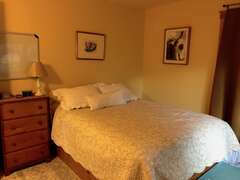 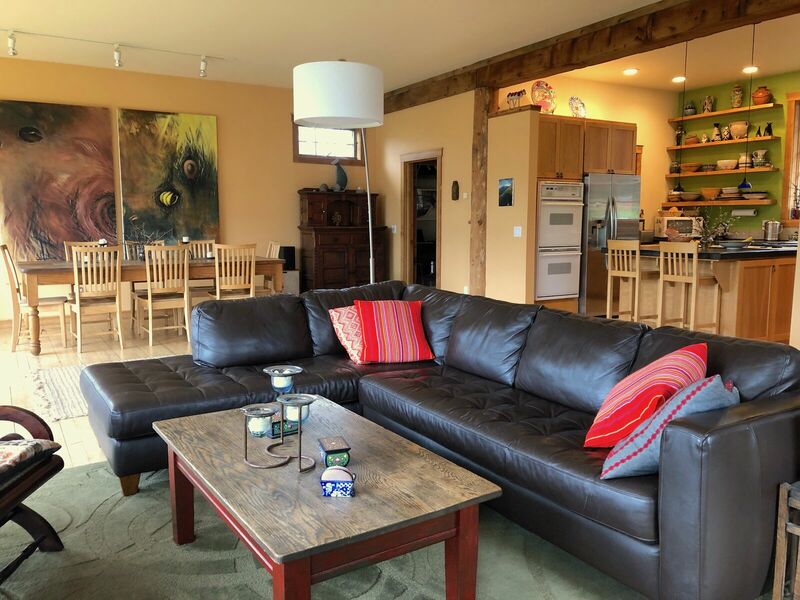 Situated on the scenic Hood River 10 minutes from town, Riverstone Farm offers a beautiful 3,500 sq. 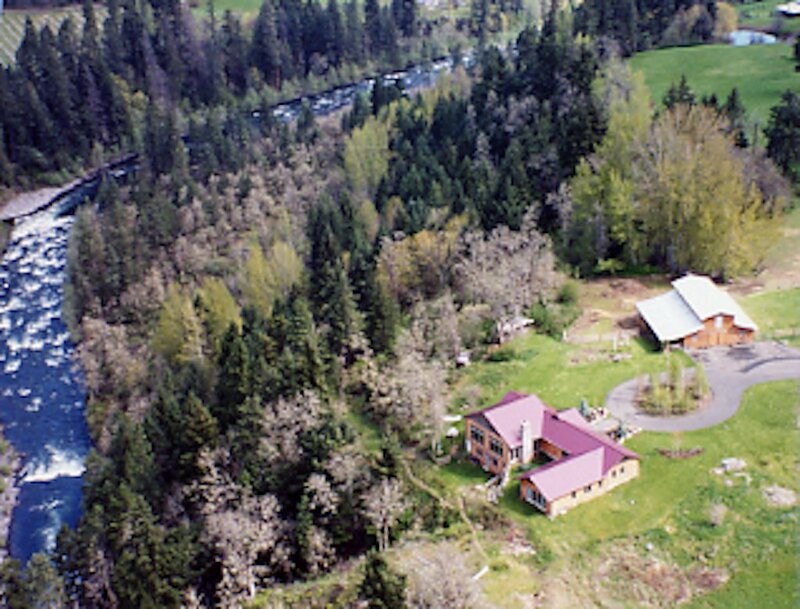 ft. custom home overlooking the Hood River with 40 acres of private country life to enjoy. Whether it's reading a book in the hammock, playing at the beach, or sailing on the nearby Columbia river, Riverstone offers something for everyone. 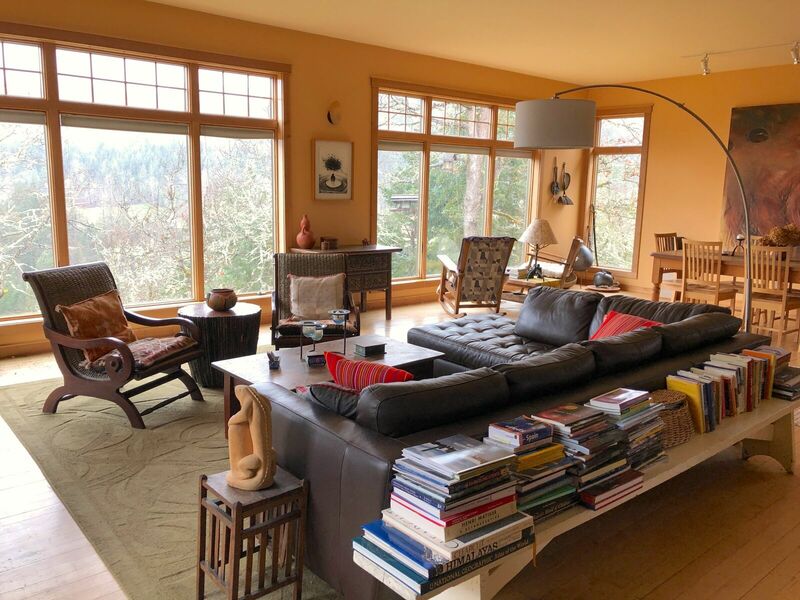 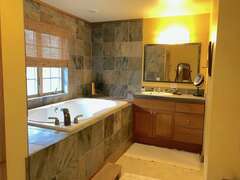 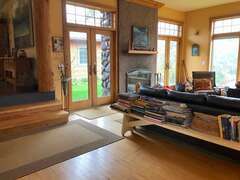 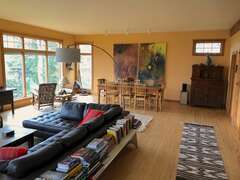 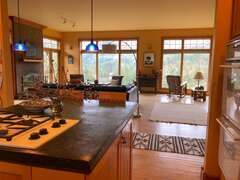 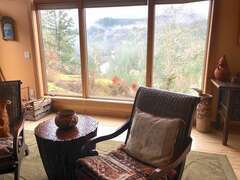 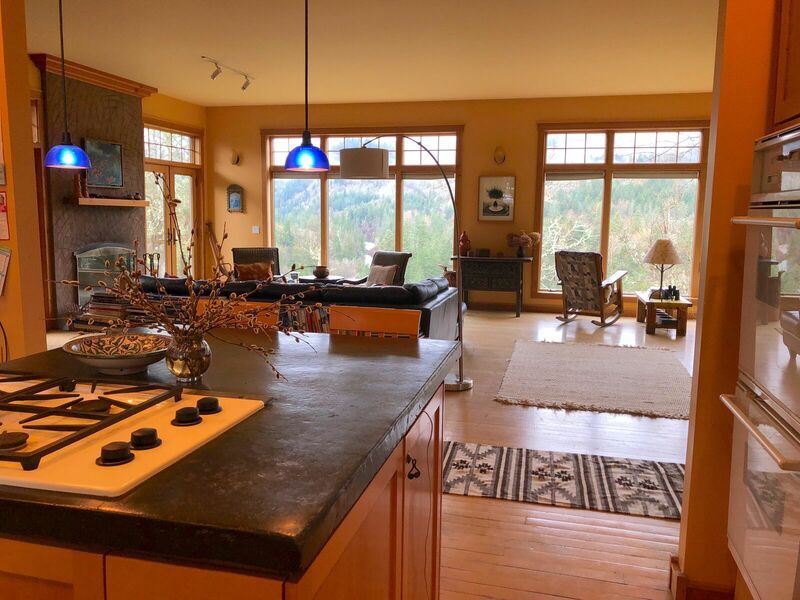 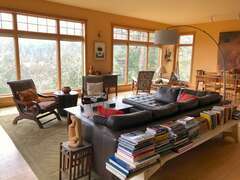 The house features a spacious two level, great room style construction with spectacular views of the Hood River below. 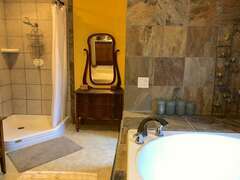 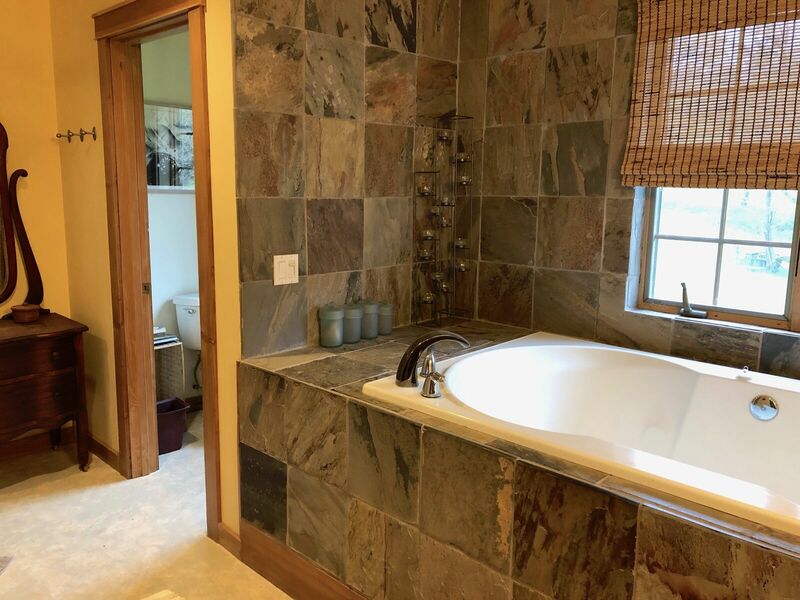 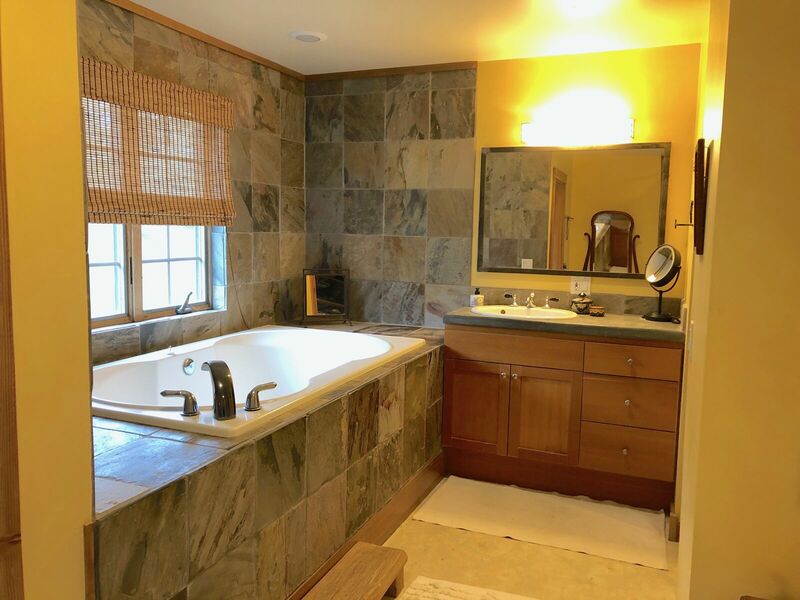 Riverstone has three bedrooms, two baths and 1/2 mile of private river frontage including swimming beach. 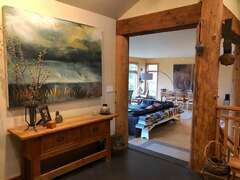 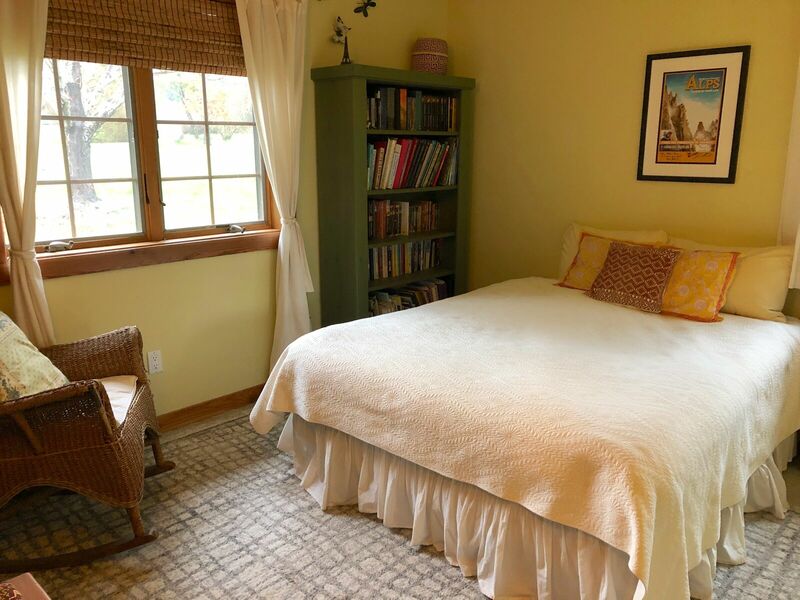 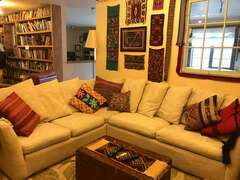 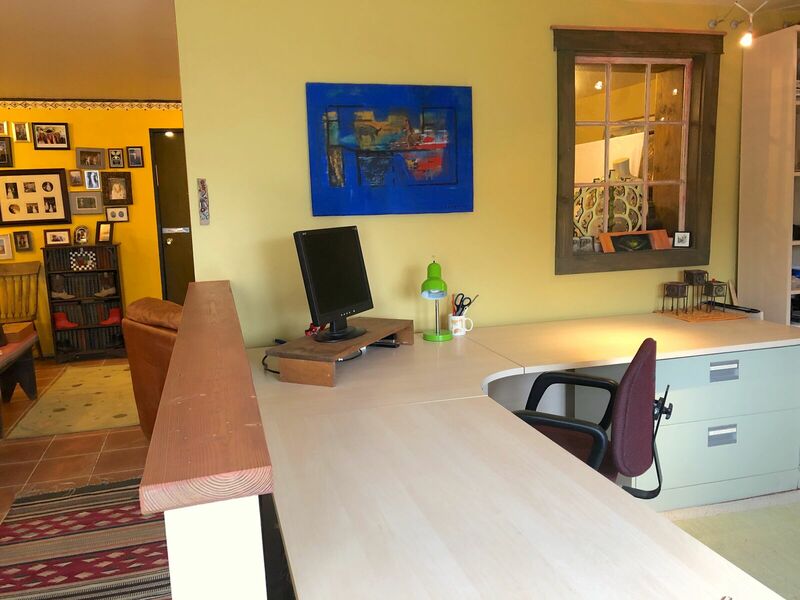 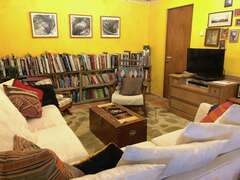 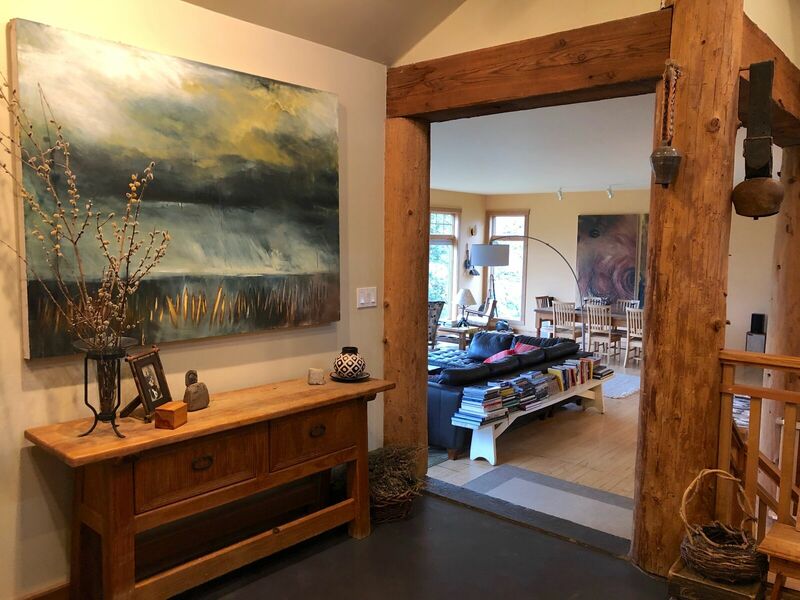 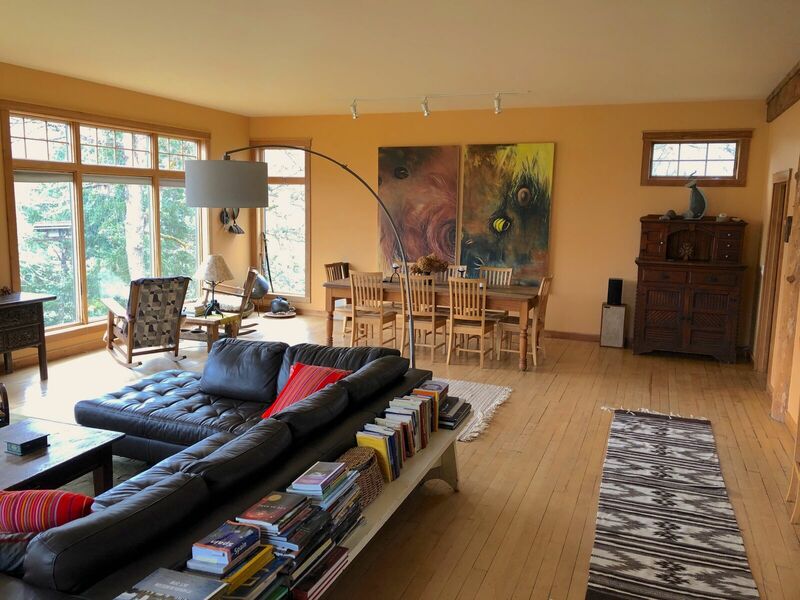 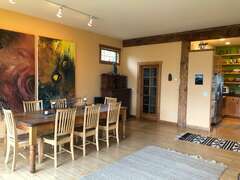 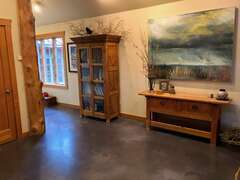 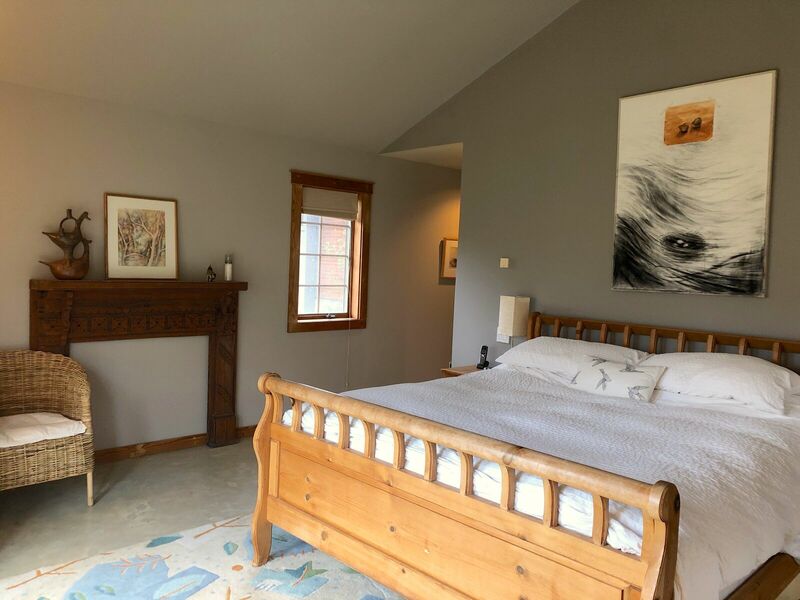 The house is owned and built by an artist/world traveler couple who have furnished the interior with original art and artifacts collected from their travels. 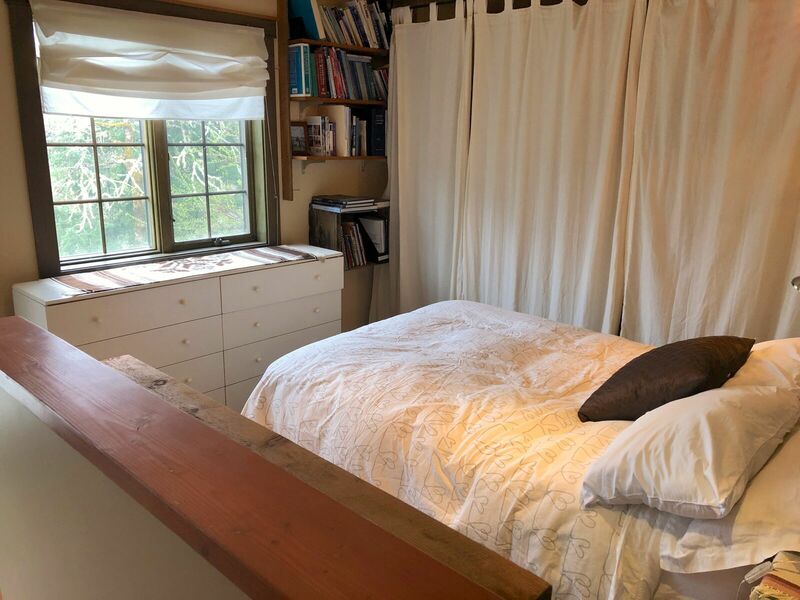 Wake in the morning to the murmur of the river, doze in a hammock, or star gaze at night. 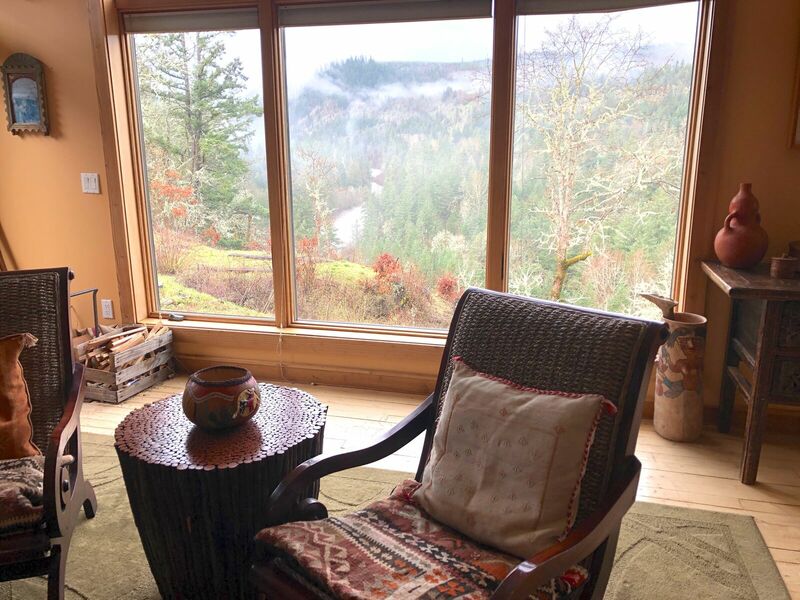 Riverstone awaits!